This Pastel Floral Nail tutorial was prepared by the supremely talented and self-taught nail artist Kay Woo/TwentySixNails from Singapore. Even though I love pink and glitter, floral manicures aren’t something I do often. So when Kay, whose feminine manicures are one of our floral faves, offered to do a how-to for SoNailicious, we were absolutely thrilled. This pastel floral nail design allows you some room for creativity, as you can use pretty much any colours you like. Another great bonus, it’s quite easy to do. It may look like a complex design but in reality, no advanced nail art skills required to re-create this look. 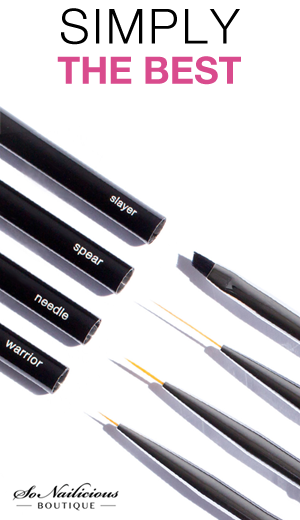 There are no straight lines you have to follow or clean, defined strokes you have to make. 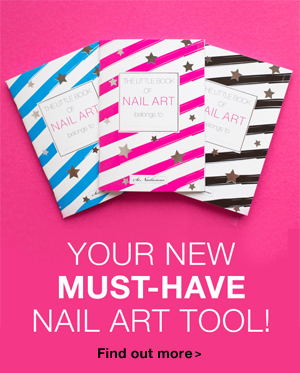 As long as you can hold a brush in your hand and have some pretty pastel nail polishes at your disposal, success guaranteed! 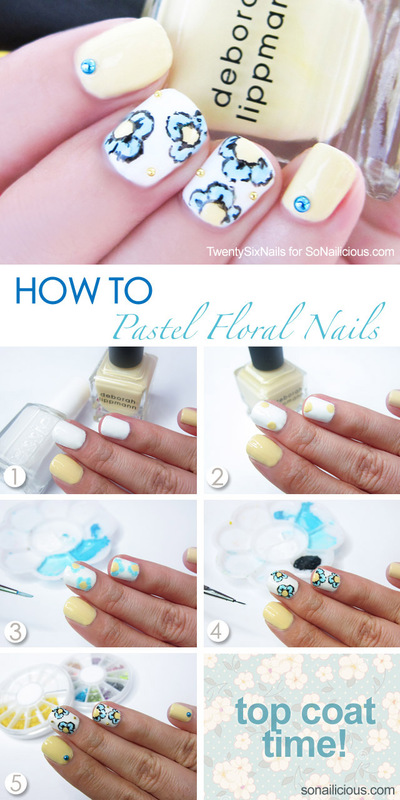 Just follow our step-by-step Pastel Floral Nails tutorial as below. Paint two coats of pastel yellow on your index and pinky, and two coats of white on your middle and ring finger. 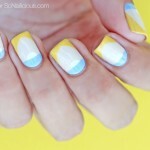 Using the pastel yellow polish, dab on two circles in any manner over your nail. If your nails are very short, you can dab just one circle. If your nails are longer, you can dab on more circles. Using acrylic paint in light blue shade, mix it with water to make it slightly watery. Using a fine brush, outline the petals of the flower around the pastel yellow circles. I prefer using acrylic paint because I like the petals to look like water coloured petals. You may also choose to use a light blue polish. If you do, you may use either a brush or a dotting tool to outline the blue petals. Outline your petals using black acrylic paint. You may also use black polish, but I used acrylic paint in this manicure because it does not turn sticky like polish. Paint a top coat over your nails to seal in the design. If you like, put on some nail glue/ top coat on desired areas and stick on some studs and caviar beads for some bling! The look is now complete! Used: Deborah Lippmann ‘Build Me Up Buttercup’ (Pastel Yellow), Essie Blanc (White), Oumaxi Acrylic Paint, G&G HK Girl Top Coat, Bornprettystore’s studs, caviar beads, and rhinestone wax pick-up pen, and BYB Nail Glue. 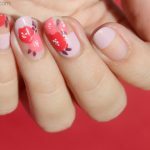 Hope you enjoyed this Floral Nail how-to! Look forward to seeing your version of this design! If you recreate this nail design, make sure you tag Kay @twentysixnails and @So_Nailicious in your photo on Instagram we’d love to see your work!